On June 9, 2018, Trinity-Pawling’s leadership donors, volunteers, and Prefects gathered to participate in the School’s inaugural Leadership Summit. Headmaster Bill Taylor, esteemed educators, and leaders spoke and led interactive breakout sessions aimed at steering the School towards becoming the preeminent leader among independent boys’ schools. into this new era of education. Dr. Morrison, who is University Provost and Chief Academic Officer of Boston University, provides leadership for the University’s overall academic, budgetary, and planning processes, and oversight of its academic programs, research, global programs, enrollment, and student affairs. In reflecting on Dr. Morrison’s presentation, Headmaster Bill Taylor stated, “Her focus on the changing nature of work and how educational institutions must be able to adapt to ensure that they are preparing their graduates for a work world that will be less centralized, more flexible, and more innovative is very relevant to the skills we are teaching at Trinity-Pawling.” Taylor continued, “Dr. Morrison’s emphasis on the dynamic between the changing demographics of college-age students and the affordability gap for higher education was insightful. This is a dynamic that independent schools began to see shortly after the 2008 recession in the elementary grades. It is now working its way through the entire span of the educational system: fewer students and a higher difficulty to pay the full cost of tuition.” Taylor took particular interest in Dr. Morrison’s emphasis on the historical importance of immigration with regard to our overall national citizenry as well as to the depth and value of our human capital as a nation. “Certainly, we have found the international aspect of our student community to be critically valuable to the fabric of the student population and the depths of gifts and talents from the entire student body,” Taylor concluded. “Educational institutions can only be responsive if the people within them are responsive,” says Taylor. “If educators don’t care or are not aware of the need to be responsive to students and situations, then schools become self-­focused and self­-serving.” Trinity­-Pawling embraces the creative and valuable tension that exists between being traditional AND being innovative. 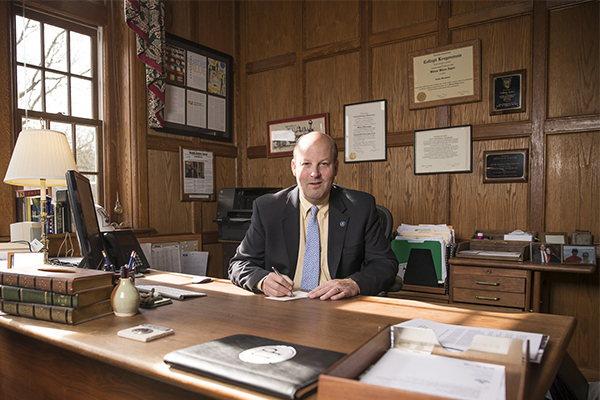 With a rich history, grounded in traditions, Trinity-Pawling is on a solid foundation—able to be responsive, and to innovate in areas that are critical, such as preparing our students to be more adaptable in a rapidly changing world. This academic year, Trinity-Pawling will embark on the process of developing a new strategic vision. Committees at the Board and Faculty/Administration levels will be coordinated and those educators will be charged with strategic visioning, primarily focusing on the next three years, and on long-term goals as well. The 2018 FIL Men’s Lacrosse World Championship took place this summer in Netanya, Israel from July 11-July 21. Across 10 exciting days, a total of 46 nations competed for the championship title, making the 2018 tournament the largest of all-time. Among those competing nations were Australia and Puerto Rico—and wearing those nations’ jerseys were two of Trinity-Pawling’s very own. Ryan Spark ’06 was in the goal for Australia; Tomas Rodriguez ’15 played defense for Puerto Rico. “The experience was unreal,” shared Rodriguez. 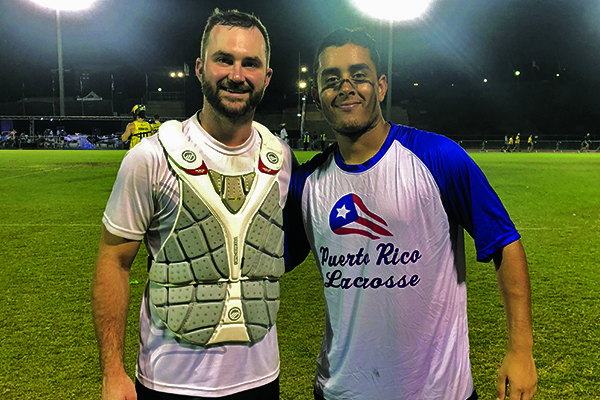 “I never thought I’d be playing lacrosse at the international level and representing Puerto Rico was such an honor.” Rodriguez earned his spot on the roster for the Puerto Rican national team last year. A defenseman in his junior year at Pace University at the time, Rodriguez also had 2 years of Division 1 lacrosse at the University of Maryland Baltimore County (UMBC) under his belt. He was one of 23 players selected for the Puerto Rican national team. Though the two players had never before crossed paths, Rodriguez felt an instant connection. “That’s what T-P does for you. It builds this incredible brotherhood and support system. There’s nothing like it,” he shared. Matt Shultz ’20 started racing cars at 8-years-old in the Slingshot Division—which included adults—driving up to 60 mph. At 14, he moved up to the Sportsman Division, where he continues to compete, racing against 380 horsepower engines and reaching speeds of 95 mph. And if you ask him, Shultz has no intention of slowing down. Shultz races on Fridays at Accord Speedway and on Saturdays at Orange County Fair Speedway. Though bumpy at first, his 2018 season has ramped up and he has found himself consistently toward the front during recent races. Shultz also looks forward to racing in the Short Track Super Series North Region during the course of the summer, which travels throughout Upstate New York. As for Shultz’s plans for racing in the future? 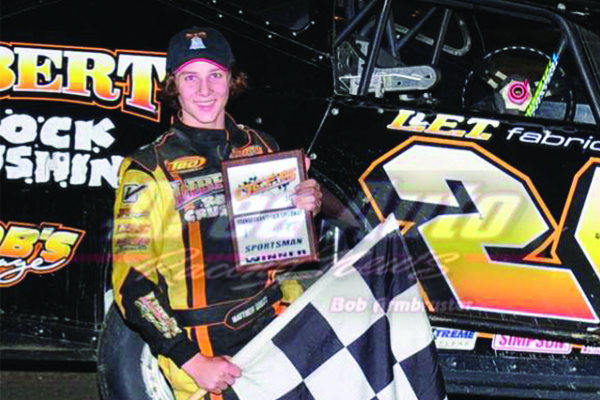 He hopes to work his way up each division and eventually become a full-time racecar driver. With a solid racing record, a supportive team behind him, and the constant drive to improve, we’d say he’s on the right track. Since 2017, PlaySight technology has been making coaching and practicing more effective and efficient at Trinity-Pawling. Our SmartRink, SmartCourts, and SmartFields include interactive camera systems that use multi-angle video and analytics to enhance training and performance for the Pride. 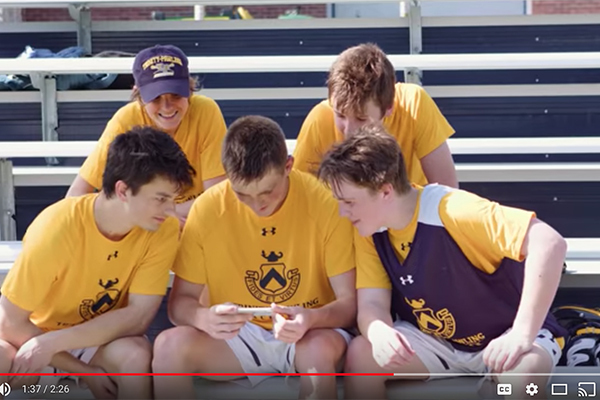 Trinity-Pawling has the ability to live stream, record, analyze, and track all practice & game action from multiple cameras, and access video and data in real-time, or later on PlaySight. This advanced sports video and analytics technology has created a more connected community of Pride athletes, coaches, and fans. The School is on the leading edge of student performance and athletic development, and our partnership with Playsight is further proof of that commitment. The professional level technology is providing an instant way to show our student-athletes, in real-time, what we are teaching. “Playsight definitely prepares our athletes for the collegiate level,” says Bill Casson, Head Varsity Basketball Coach. “The ability to flag specific points and make individual notes for each boy to visibly go back and watch is invaluable.” Watch here to see the many ways that PlaySight enhances Pride Athletics. 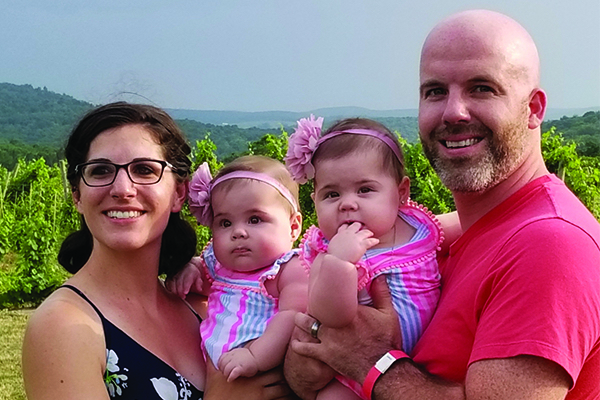 “I’m most excited to live and work in the same town that I grew up in,” began Dan Tompkins, Trinity-Pawling’s new Director of Facilities. Tompkins joined the School at the start of the summer and is thrilled to be taking on the role in his hometown. Senior Director of Global Procurement. Key mentor for early-stage companies. Co-founder of a new clothing boutique and online retailer. All exciting and interesting roles on their own and, amazingly, three jobs currently held by Nick Ammaturo ’02. Nick’s primary work happens every day at Tapestry Inc., the parent company for Coach, Kate Spade, and Stuart Weitzman, where he helps to reduce costs, increase efficiencies, and negotiate the best prices across all corporate spending of the 3 luxury accessory brands. His gigs at Grand Central Tech (the accelerator) and Fado (the boutique) are just sidelines, but add both diversity and excitement to an already busy schedule. “I come from a family of entrepreneurs (Nick’s parents own Dutchess Auto Body & Service Center in Pawling) and a strong work ethic was instilled in me early on. From the age of 8, I was pumping gas at the shop and was able to see how hard my family worked to achieve their goals—their dedication pushes me to do the same. The variety of places where I spend my time and work allows me to continually challenge myself and grow.” Nick states, when asked about how he juggles it all. Certainly Nick is a huge asset to those he assists at Grand Central Tech. 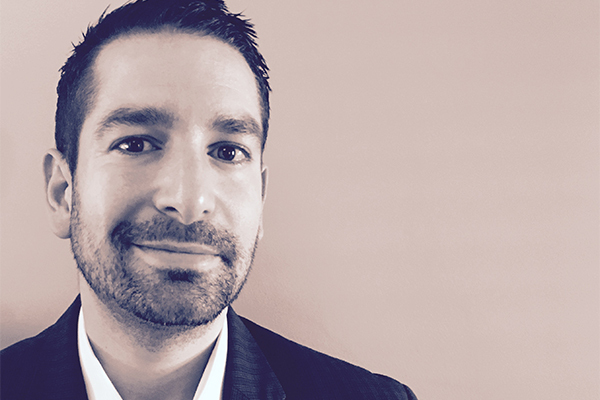 His background in supply chain management and strategy give him a critical tool kit from which growing companies can learn as they expand their business and look to source materials on a bigger scale. To create and open his own startup, Fado, Nick has also relied on his multi-dimensional skill set. “At this point in my career, I have saved over a billion dollars for the various companies I’ve worked at, an accomplishment I’m very proud of. It’s exciting to share my knowledge with young businesses, and now also apply everything I’ve learned to open something of my own. I was fortunate to sync up with a business partner (for Fado) who has skills that I don’t, and together we feel we can really disrupt the retail industry. At the very least, it’s been an incredible learning experience to put some of my own advice to startups into action myself!” Nick comments. Hard work + sustained effort—certainly a recipe for success both here at Trinity-Pawling and beyond. Congrats and best wishes on your new venture Nick!! For those in the Westchester area who would like to visit Fado, you can find more details here. This fall, Trinity-Pawling will open the doors of Hastings dormitory to an eager group of 8th grade boarders. The 2018-2019 academic year marks the inaugural year of a dedicated 8th grade boarding program as an extension of our already transformational Middle School day curriculum. 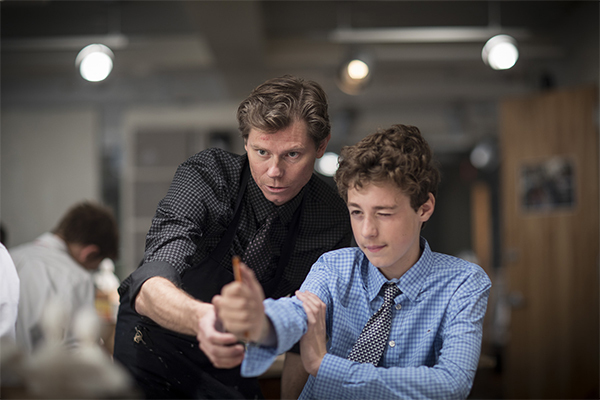 The Middle School curriculum at Trinity-Pawling is built on five themes that help boys gain a deeper understanding of their self-awareness, creativity, character and honor, and their place in an ever-changing world. The small classes allow teachers to get to know the real boys, as they guide them on a journey of self-discovery to uncover their gifts and talents, and lay the foundation for future success. Students in the 8th grade will be engaged in a dynamic and comprehensive boarding school experience. Young scholars will immerse themselves in the boarding program and take part in a selection of vigorous activities that allow the boys to experiment and explore—arts & innovation, science & math, and cultural field trips. Boys will also be able to benefit from an array of athletic opportunities, including access to higher-level competition if appropriate. The 8th grade boarding program is developmentally appropriate, individualized, and intentionally designed to nurture Middle School boys in preparation for the Upper School. Several additional, individualized Residential Life requirements will be expected of our 8th grade boarding students throughout the course of the day, which are intended to help our younger students find greater success and instill the habits found in our most successful Upper School students. 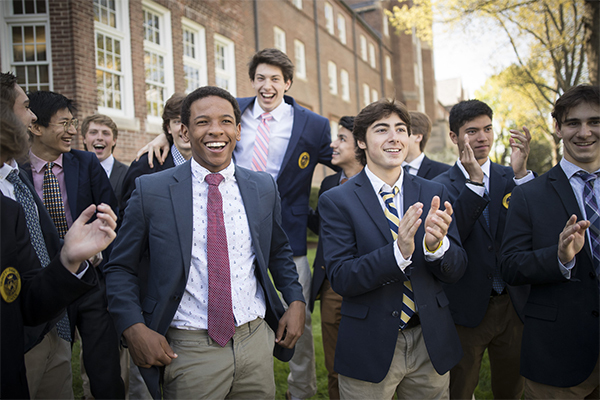 This Middle School boarding program is a confidence builder—our 8th grade boys will be prepared for leadership by their Upper School mentors; learn to problem solve and think critically by being encouraged to experiment; and build character by having role models and teachers who are versed in the needs of Middle School boys. Trinity-Pawling’s Middle School students have access to all of our Upper School facilities, including our Arts Center, the Center for Learning Achievement, and all athletic facilities. Boys will fine-tune their tech skills by using Chromebooks and taking classes on applied technology. A focus on study skills such as note taking, time management, and test preparation will get students ready for success in the Upper School and beyond. If you know a boy who would be a great fit for the 8th grade boarding program at Trinity-Pawling, contact JP Burlington at 845-855-4825. 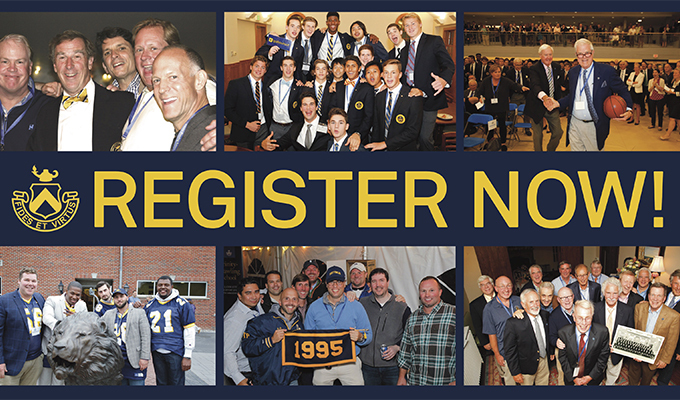 Homecoming & Reunion Weekend is just around the corner—September 28-29, 2018—mark your calendar and register soon! Your class photo will be taken at this event! We hope to see you back on campus! 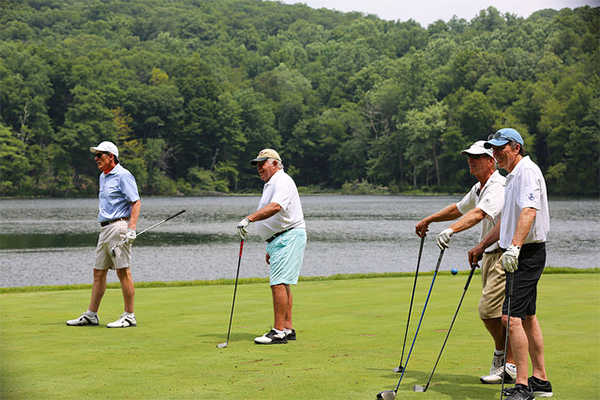 On July 17th, 2018, Trinity-Pawling alumni, faculty, and friends gathered at Morefar Back O’Beyond for an all-day golf experience—and to support the Trinity-Pawling Fund and the Miles H. Hubbard, Jr. ’57 Scholarship Fund. A huge thank-you to all the golfers who joined us at the 14th Annual Trinity-Pawling Golf Outing! We hope you enjoyed a wonderful day on the course. Paul Miller ’63, P’92 for supplying the Porsche 911 Carrera hole-in-one car. Trent Miller ’92 for sponsoring the Longest Drive and Closest to the Pin awards. The Classes of 1963 and 1964 for showing up strong, as always! Dave Daniels P’02, Maureen Miller P’12,’15, Trent Miller ’92, Lori Tyll P’05 and Kyle Tyll ’05, and Culinart for sponsoring faculty members and students. Pictures from the outing can be found here. 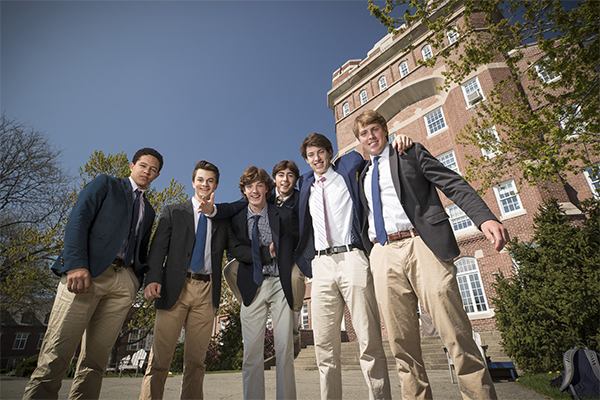 Supported every step of the way by a dedicated community of mentor-educators and buoyed by a brotherhood of peers, Trinity-Pawling students discover their OWN GREATNESS, each and every day. Your gift to the Trinity-Pawling Fund is the anchor—providing for all the daily needs of this top-notch educational experience. Through your generosity, you support the culture of TRANSFORMATION—where a boy’s highest potential is DISCOVERED and UNLEASHED. Join us for an OPEN HOUSE event this fall! Active, engaged, and out of their seats—this is how boys at Trinity-Pawling experience learning. Come to campus and learn about our distinctive programs and how they bolster the way boys learn best: by doing. Meet the experts in boys’ education, who understand how to guide students to become young men of integrity—ready to rise to the challenges of an ever-changing world.